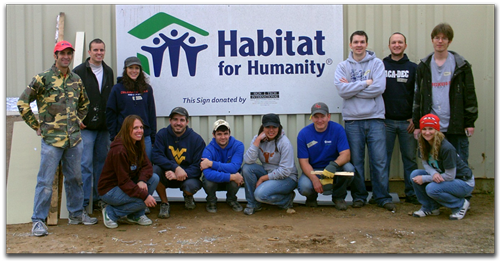 HotSchedules was pleased to participate in a day of hard work in support of Habitat for Humanity. Several employees devoted their entire Saturday to the effort and found the experience to be both rewarding and fun. The group included Ray Pawlikowski, Gabriel Pryor, Kyle Koytk, Kyle Albright, Raechel Barnes, Mariana Perez, Robert Phillips, Seth Fatzinger, as well as some of their friends and significant others. Thanks to all who volunteered their time and energy for such a great cause! 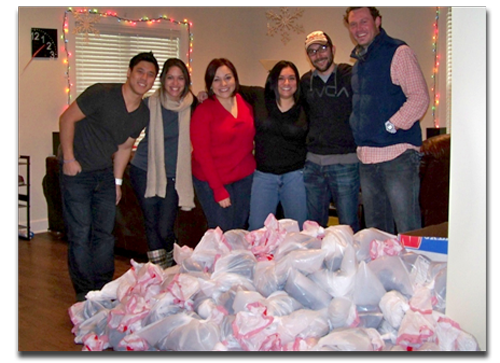 On Christmas Day, several individuals from HotSchedules joined together to participate in “HotHope” – a program similar to other volunteer projects in which food and clothing is collected and donated to those in need. There was a big internal push for donations during the entire month of December, and a total of $1336.00 and 13 bags of clothes were collected from HotSchedules employees. A handful of employees spent several hours on Christmas day organizing all the donations, packing them up and delivering them. Special thanks is extended to everyone who participated, and especially those who gave up their time on Christmas day, including; Justin Buckley, Esmer Rodriguez, Will Tung and Sam Ryan. But most of all, huge thanks to Elizabeth Arias for planning and executing this very worthwhile and time consuming project!